I have said a lot of things to my wife. Like, a LOT. I mostly don’t expect her to remember all of it, because there’s just too much. Of course, I am a typical man (in this case, at least), and I underestimated her abilities to lock in info. Yesterday, she brought to my attention that I once told her about the connection between my creative side and my grumpy side. It basically works like so: I stop doing creative things for a while, and my mood suffers. I get grumpy and such, as a result of my brain’s boredom, I think. So when she pointed this out, I realized (in about 1/16th of a second) that I had been less myself. Between work and family time, I haven’t been giving myself enough Rory time. I haven’t been crafting, or even Minecrafting. I have been ignoring my need for creative stimulation, and I can do something about that! Tonight, while doing family time stuff (we watched Maleficent), I sorted my LEGO stuff, and organized my bricks. This was good for a variety of reasons. Doing something with my hands improves my engagement in an activity. It only takes a small portion of my creative mind, while the rest of my brain is engaged in the larger activity, such as watching the movie. 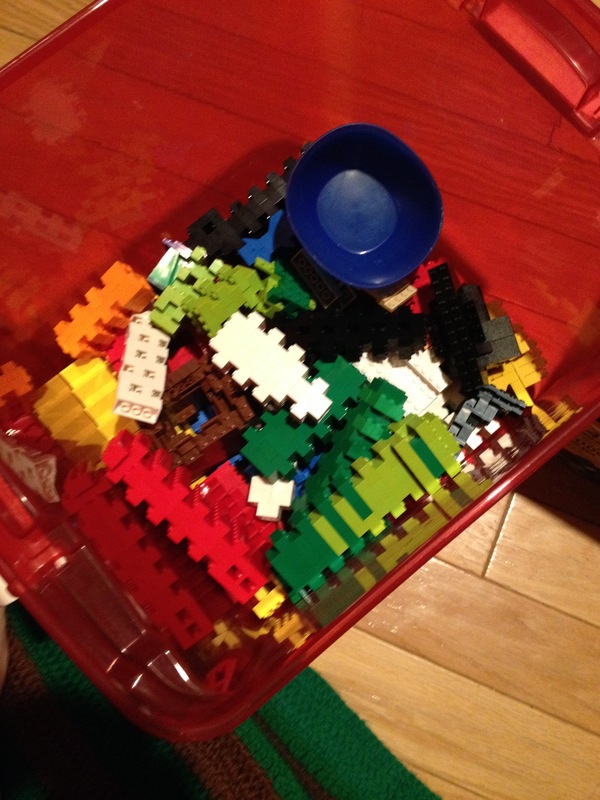 When the movie is over, I looked into my LEGO bin, and realized that I had hit a little point of zen in there. It was all tidy and neat, and I knew where to go for my 2x3x1 bright blue bricks. There are tons of other things I can do though. I can choose to ignore Facebook. I find it draining. I can tend to my bonsai, and other plants. I can create something ridiculous on Minecraft and not worry about anyone judging it, cause it’s just for me. The trick is to make a point of fitting it in. There is always time. Often, our worry that we won’t have enough time is what makes us run out of time. The ongoing sporadic loss of moments drains our day, leaving nothing left other than un-met deadlines, and under-inspired days. Usually I do pretty well with this stuff, but I’ve recently taken to working six days a week, which makes it more difficult, but also more critical. So tonight, I organized LEGO bricks. I might even play a little Minecraft tonight. Or maybe I’ll do LEGO Minecraft! And then go to sleep with my wife, like a good husband, who appreciates that his wife has the memory of an elephant.